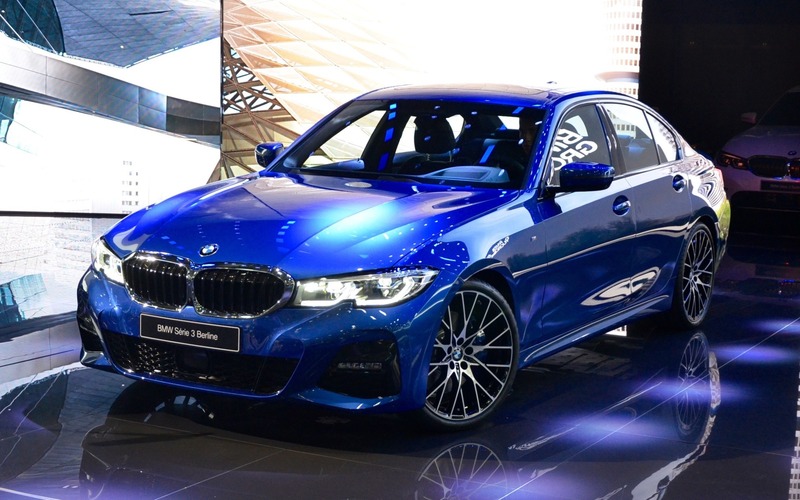 The Car GuideAuto ShowsParis2019 BMW 3 Series: Here it Is! We knew that an all-new generation of the BMW 3 Series was about to be revealed, but we were expecting it to appear later this year. However, it just made its world debut at the Mondial de l’automobile show in Paris. This new generation of the iconic sports sedan bears the internal code G20 and will be assembled on a new modular platform that also supports the current 5 Series and 7 Series, as well as the upcoming BMW Z4 (and the Toyota Supra). The automaker is promising 3 Series lighter by about 120 pounds, thanks to the use of aluminum for some suspension and body components. We notice not only a bigger compact sedan, but also a much more aggressive look than its predecessor, leaving behind a conservative design that allowed the 3 Series to be so adored by the brand’s followers. Its headlights are now presented in two separate sections, with one projector slightly higher than the other. The front bumper is racier, and at the rear, we find totally reshaped LED taillights. Inside the sedan’s cockpit, there’s a fully digital instrument panel, now the norm in the luxury-brand segments these days, as well as a bigger touchscreen. In Canada, the 330i xDrive will be equipped with a turbocharged, 2.0-litre four-cylinder engine that develops 255 horsepower and 295 pound-feet of torque, an increase of 37 lb.-ft. compared to its predecessor. Afterwards, we’ll see the arrival of the six-cylinder M340i and M340i xDrive with an output of 382 hp and 369 lb.-ft. All versions of the 2019 BMW 3 Series will include an eight-speed automatic transmission. BMW hasn’t released much detail regarding the upcoming 330e plug-in hybrid, which won’t hit the market before 2020. The 2019 BMW 3 Series Sedan will arrive in Canadian dealerships in the spring of 2019.